Breakfast/Brunch | Om nom nom! 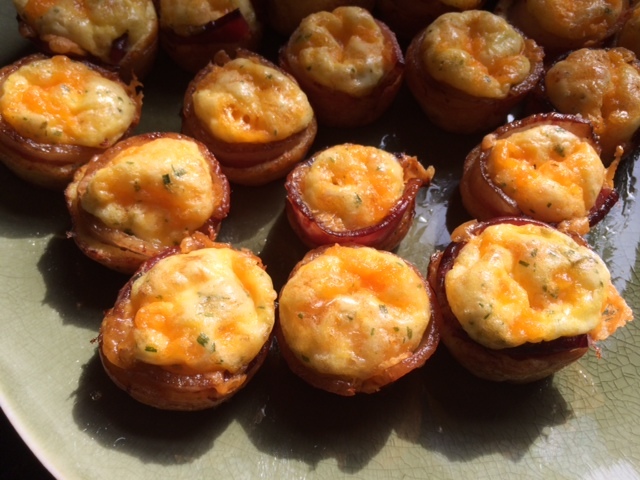 After mentioning the mini frittatas to Shawn, he suggested we also try these bacon, egg, and cheese cups – we had a bunch of Amish bacon lying around that obviously needed to do something amazing. 😉 These were great! 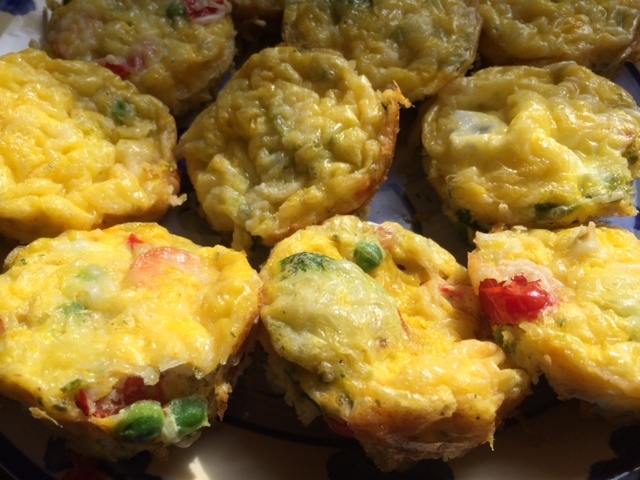 And tiny, so you can have a couple for breakfast without feeling tooooo guilty. There’s no real recipe for this, but below is how we did it. With a few days off this week, I’m trying to stock up on some freezable, quick breakfast items. I am not a huge fan of breakfast, and it needs to be small and light if it’s going to happen. Shawn is on his bike so early that something portable is a huge plus. I saw these little guys on some Buzzfeed post and tried to mock them up – they were pretty good! But I should have greased the muffin tin a bit better – huge, stuck mess. I would make more of these for sure, though. 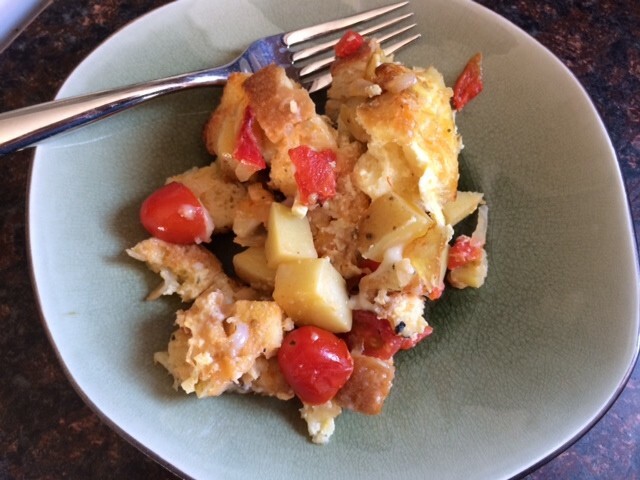 Quick and very filling for breakfast. First meal of Mostly Meatless March! We had a ton of eggs in the fridge and I was not feeling creative, so this is what happened. 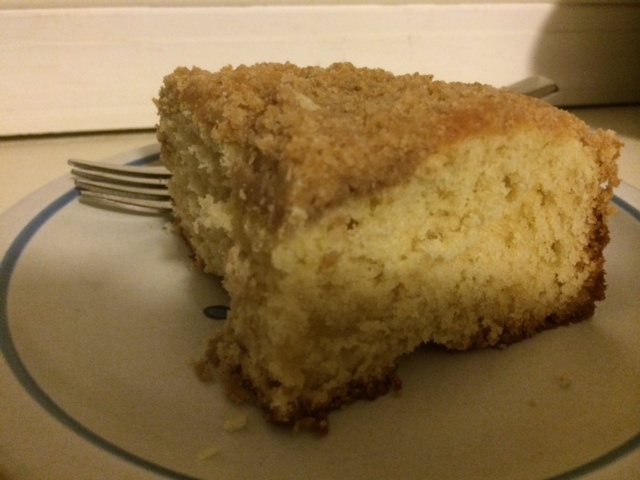 Inspired by a recipe on Chow, I made it with mostly egg whites to make it a little more low cal. 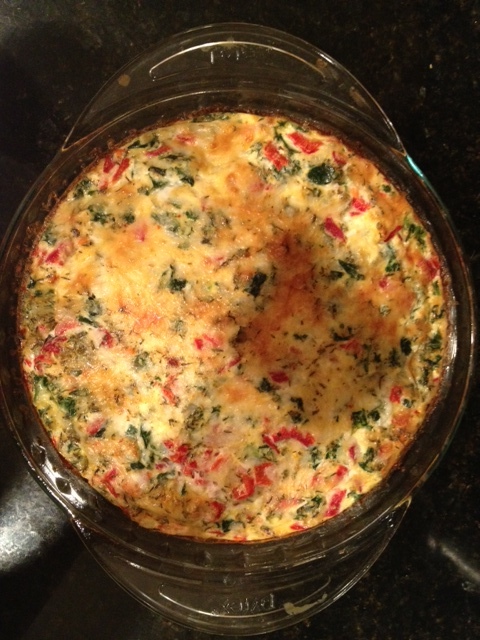 Frittatas are one of my favorites for the versatility and clean out the fridge ability. It was quite good, and a nice start to being Vegetarian for a month (well, Pescetarian). The leftovers will make a great breakfast!